Ag BioTech InfoNet - Covers all aspects of the application of biotechnology and genetic engineering in agricultural production and food processing and marketing. Agricultural Biotechnology Council (ABC-UK) - Committed to "safe and responsible" introduction of biotechnology into the production of food. The companies involved here include: Bayer CropScience; BASF; Dow Agrosciences; Dupont; Monsanto; and Syngenta. AquaBounty Technolgies - A biotechnology company focused on improving productivity in commercial aquaculture. Salmon is being developed by this Massachusetts company that contain an extra growth gene to make them grow twice as fast as conventional farm-raised salmon. Biotechnology Risk Assessment Research - USDA propaganda site devoted to assuring you that GMOs used in foods are completely safe and to explaining the esoteric wonders behind a scientific technique known as "risk assessment." Canadian Biotechnology Action Network - Collaborative campaigning at the local, regional, national and international levels opposing genetically modified food. Committee for Nuclear Responsibility - A non-profit, educational group organized to provide independent analyses of the health effects and sources of ionizing radiation. Consumers Union: Not in My Food - Working for a food system that assures food is safe, affordable, healthful and processed in a sustainable manner. Believes everyone has a right to know what's in the food they eat. This means knowing what your meat was fed, or if the ingredients contain GMOs, or if the packaging was made with BPA. Consultative Group on International Agricultural Research (CGIAR) - More than 300 CGIAR-developed varieties of wheat and rice, and more than 200 varieties of maize, are being grown by farmers in developing countries. CGIAR holds the world's largest collection of plant genetic resources (over 600,000 accessions of more than 3,000 crop, forage, and pasture species). DivSeek - Seeking to enable breeders and researchers to mobilize a vast range of plant genetic variation to accelerate the rate of crop improvement and furnish food and agricultural products to the growing human population. Expert Testimony on Health Hazards of Food Irradiation - Verbatim excerpts from expert testimony at U.S. Congressional Hearings into Food Irradiation, House Committee on Energy and Commerce, Subcommittee on Health and the Environment - June 19, 1987. Experts included: S. G. Srikantia, B.Sc., B.B.S., D.Sc. ; Donald R Louria, Ph.D.; George L Tritsch, Ph.D.; and Richard Piccioni, Ph.D.
Food Irradiation Project of Organic Consumers Organization - News and resources on food irradiation. Friends of the Earth - Advocacy group. Friends of the Earth Europe (FoEE): GMOs - Actively promotes public understanding of the different applications and risks resulting from genetic engineering - especially in relation to agriculture and so-called novel foods - and thus to facilitate wider and more enlightened public participation in the development of the EU's biotechnology policy and legislation. Genetically Modified Food UK and World News - Source for 1300+ news stories about Genetically Modified Organisms in the food chain. GMWatch - Reporting on the growing concerns about genetic engineering, also known as genetic modification, and about the rapid release of genetically modified (GM) foods and crops into the environment and into our food chain in the absence of either a social or scientific consensus on their safety. GRAIN - An international non-governmental organisation which promotes the sustainable management and use of agricultural biodiversity based on people's control over genetic resources and local knowledge. Krafted: Genetically Krafted Foods - Kraft Foods is the largest food company in the country, and the second largest in the world. Kraft's products are found in 99% of U.S. households, and many of them, such as Taco Bell taco shells, Boca Burgers, Lunchables, Post cereals and Stovetop Stuffing have been found to contain untested and unlabeled genetically engineered ingredients that may put families and environment the at risk. Kraft refuses to label these inadequately tested foods, taking away our right to know what we are eating, despite the fact that between 85 and 95% of Americans want labeling. 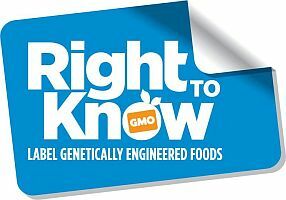 Activist resources and campaign calling on all food companies, particularly Kraft Foods, to stop using genetically engineered ingredients in all of its products unless adequate testing, labeling, and liability are established. Monsanto vs Schmeiser - Percy Schmeiser is a farmer from Bruno, Saskatchewan Canada whose Canola fields were contaminated with Monsanto's Round-Up Ready Canola. Monsanto's position is that it doesn't matter whether Schmeiser knew or not that his canola field was contaminated with the Roundup Ready gene and that he must pay their Technology Fee. Northwest Resistance Against Genetic Engineering (NW Rage) - Working to stop the instrusion of genetic engineering into our lives, our food supply, our environment and our privacy. Promotes healthy alternatives to the use of genetic engineering: organically grown food, healthy diets, natural medicine, and a pollution-free environment. Public Citizen: Food Irradiation - Links, fact sheets, action alerts, statements, press releases, reports, articles, information on food irradiation, and Public Citizen's monthly newsletter Food Irradiation Alert!. Transgenic Crops: An Introduciton and Resource Guide - Information and links to other resources on the technology and issues surrounding transgenic crops (also known as genetically modified or GM crops). True Food Now Network - Where concerned citizens can voice their opinions about critical food safety issues, and advocate for a socially just, democratic, and sustainable food system. UN Food and Agriculture Organization (FAO): Agricultural Biotechnologies - Latest news and resources on genommics in food and agriculture. Union of Concerned Scientists: Food and Environment - Focuses on reducing unnecessary uses of antibiotics and strengthening civil society's control of biotechnology. UCS's antibiotic-resistance work aims at moving the Food and Drug Administration to curb the use of antibiotics in animal agriculture - especially those important for human medicine. In biotechnology, the UCS is seeking strong regulation of genetically engineered plants and animals.